Summary: Sending free mobile greeting cards for any occasion gets increasingly popular. Do you know where and how to send free greeting cards to mobile phone? Herein lies the answer. Free to share and send mobile ecards to your friends in AmoLink must be a special way for you to extend your best wishes. Comparing with traditional paper greeting cards, many people prefer to choose ecards in such a modern and fast-paced world. Mailing ecards to someone is easy and handy, especially we can add video, music or sound to it, which seems more vivid and fun than paper greetings. But with the actual email service taking a longer and longer time to send mail, you can not sure if your recipient will receive the card by the time the event is scheduled to happen! The problem is that many times you may not have seen your email until after the event! Just think if you can send mobile greeting cards to everyone on your contact list, for any occasion, all of these problems will be solved in seconds. This is what you can do when you use your mobile phone to send a mobile greeting card. As we see above, people like sending ecards through email, but not everyone can receive and check email in time, so people want to find a more reliable way to send their wishes. Mobile eacrds is a good choice to solve the problem of time-effectiveness. Besides, as is known to us all, mobile is one of necessities in people’s modern way of life, if we can directly send free greeting cards to mobile phone, it will help us save more time and energy. What’s more, our friends and family will more easily receive and read our wishes as well. Another reason that mobile ecards gaining popularity over paper ones is its “green” benefits. Ecards help reduce the carbon footprint by substituting traditional paper greeting cards and contribute to the preservation of the environment. Mobile ecards may be cheaper to send than traditional paper greeting cards. Many websites offer free greeting cards so users can send wishes without money being a concern. In fact, mobile ecards also have a lot of advantages in addition to the above. If you experience it by yourself, you will know it more clearly. Just take a little time to pick up one online free greeting card maker to try. A variety of special mobile greeting cards will embrace you. Anywhere to Make Mobile Greeting Cards Online? 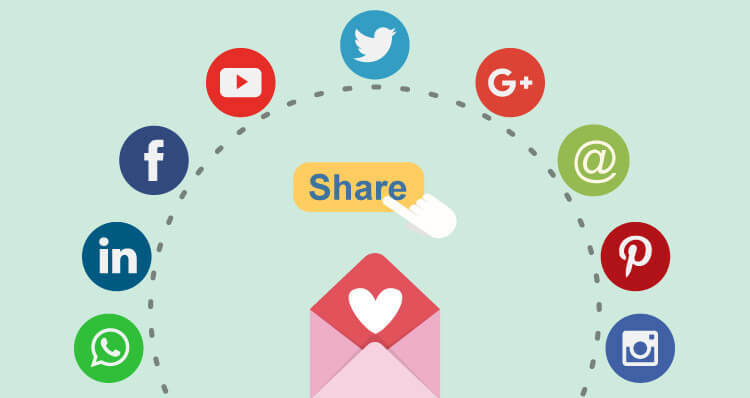 Mobile ecards are digital generated content commonly provided through Internet, which makes them much more versatile than traditional greeting cards which are common before Internet. For example, mobile greeting cards can be easily sent to people at once or specially personalized by the sender. I believe as a sender, you must want to touch up your greeting cards or make new one for your loved guys rather than send a template or already customized one. If you think so like that, then a greeting card maker is very necessary. Don’t worry, there are a great number of free greeting card maker online for you to choose from, just search greeting card maker online or some key words on the Internet, you will have a lot of choices, such as American greetings, 123 greetings, Hall Mark App and etc. However, here I want to record you a new free online greeting card maker – AmoLink. You can not only online to make your own birthday cards, holiday cards, Valentine day cards, invitations and etc, but also directly send those free ecards to mobile phone online. AmoLink is extending engagement with a new line of greeting cards by enabling senders to send a link or a QR code to recipients. Then receivers just need to open the link or scan the QR code to browse your wishes. You can make mobile ecards for any occasion, like happy birthday cards, Christmas Day cards, Valentine Day cards, holiday cards, wedding invitations, save the date and all cards for any occasion that you want. It is easy and supper fun, just need simply edit, like changing text, adding elements, music, sound, video or animations, choosing your favorite backgrounds and decorations, etc. 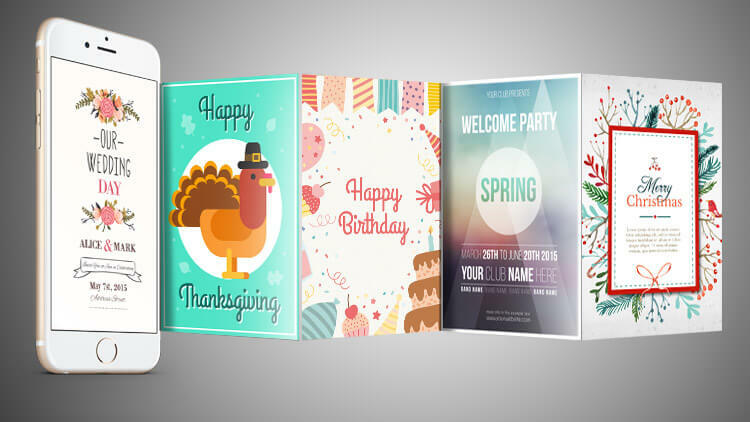 In AmoLink, the big difference that from other card makers is that it provides animated layouts and animations for you to create animated greeting cards that can take on mobile phones. Imagine a card with sound, lights, video, music, animations and beautiful galleries, which will be so attractive and fascinated that your recipients can not suppress their affection. These mobile phone greeting cards are fun to choose and fun to send. You can make one person's day, or hundreds. Either way, they are as fun to receive as they are to send. AmoLink want to offer you an extended experience with the card—a happy memory, a display piece, or a fun gadget to play with. After finishing your mobile ecards design, just directly send or share online. There are many ways for you to choose from, sending with a link, email or QR code to your recipients, all is shared without exception. As well you can text a message enclosing your mobile greeting cards link to your friends or family members. Just think how easy it would be to send a mobile ecard to the very special someone at anytime and anywhere. You can now reach out to your loved ones even when they are on a move with the phone.